A North Tyneside teenager whose flowing locks were her pride and joy has had them chopped off for charity. Abbi-Leigh Miller had 18 inches of hair cut off at Chameleon Hair Studio in Whitley Bay. As a result, the 15-year-old, from Whitley Lodge, has raised more than £500 for children’s cancer charities. 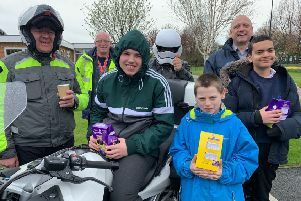 Abbi-Leigh, a pupil at Walker Technology College, is raising funds for the Little Princess Trust, three-year-old cancer sufferer Frankie Sherwood and another little girl, Lexi, who is battling leukaemia. Mum Sarah, said: “She had been to visit a friend in hospital who is having treatment for leukaemia and was just so impressed at how these children are going through the worst possible time but seemed so happy and were taking every day in their stride. The Little Princess Trust makes real hair into wigs for young cancer patients. Frankie suffers from stage 4 neuroblastoma – an aggressive cancer – and has been receiving chemotherapy at Newcastle RVI. A campaign is trying to raise £550,000 towards specialist treatment in America.